Get this best marketing strategy plan template (word document) to help you plan and develop successful marketing campaigns from simple and basic strategies to advance executions. 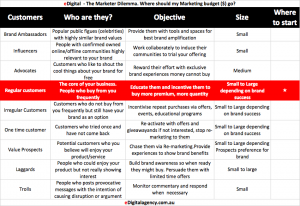 eDigital has benchmarked different strategic marketing templates from top business consulting and marketing companies and we have created one single master template for you. This template will help you identify your customers and competitors and develop a strategy to make your business stand out, increase customer awareness of your product and services, increase preference and trial and ultimately drive people to buy (purchase) and increase repeat purchases. and loyalty. Save time with this template as you will not need to start from scratch. This strategic marketing plan template has been designed to help you present and track your marketing objectives, strategies and tactical executions. You can always contact us if you have any questions or issues. If you have established or purchased a business, it’s fundamental that your business has a sound strategic marketing plan. A great marketing plan helps you understand the market you’re targeting, design products and services with the right appeal and communicate and engage the most effective way. This strategic marketing plan template will help you answer key business questions about how to promote your business, build and retain loyal customers. This way, your marketing plan template will be your reference point to guide your marketing strategy and tactical executions. This marketing template will also offer you a structure to deliver products and services in the market place that people not only need but also want. Another key objective of having a marketing plan template is to make the reading of your marketing plan pages as clear as possible by other team members and at the same time helps you monitor your marketing activities, progress and success. When completing this marketing plan template, you will be asked to write your key marketing objectives and how you are going to achieve your objectives. This marketing plan template will help you set realistic and measurable objectives, includes budgets and action plans, and allocate responsibilities. Customer segmentation. Who your business target customers are. 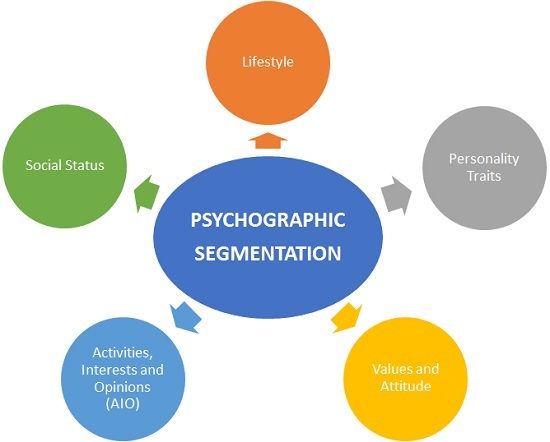 Here you will define your “most profitable” customer segment demographic (e.g., age, gender), psychographics (e.g., their interests) and their wants and needs as they relate to the products and/or services you offer. Clearly knowing your “most profitable” customer segment will help you focus your advertising and be better at “speak the language” of those “most profitable” customers. This will ensure you are increasing your Customers’ Life Time Value (LTV) and your marketing Return on Investment (ROI). Unique Selling Proposition USP Definition. You will define a unique selling proposition (USP) as it will distinguishes your company from other competitors. USP is the big idea that best positions your brand according to what your customers care about and what your competitors aren’t. Pricing and Positioning Strategy. Pricing and positioning strategies go hand in hand. Premium brands – brands perceived as luxury/expensive – will set a premium price to align to their positioning strategy. 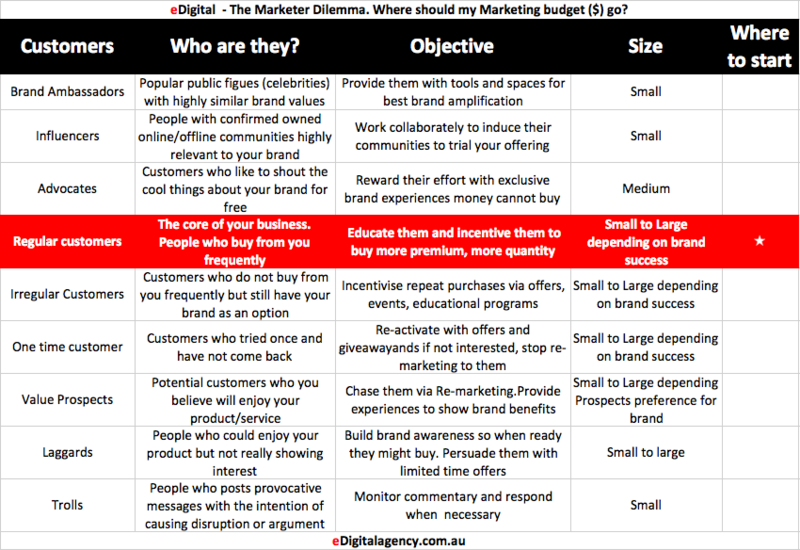 On this section of your marketing plan template you should define your ideal positioning and align a pricing structure that supports that positioning. Communication Strategy. You will define here the specific type of media your “most profitable” customers consume, why and how often they consume specific media channels and the prefer time and locations to reach them. You set your channels strategy aligned to your customers media consumption insights. You will define your brand personality, voice and tone that will help you connect with your desired segment. Key promotions, special deals and offers and the marketing materials needed will be added here. Timely offers will help your customer base to grow quicker and incentivise past customers to buy again from you. Offers can include free trials, money-back guarantees, packages (e.g., combining different products and/or services) and discount offers. Keyword Strategy: identify your “low hanging fruit” keywords you would like to optimise your website and online content for. Search Engine Optimisation Strategy: write down changes and/or additions to your website to increase rankings on top search engines: Google. Paid Online Advertising Strategy: online advertising programs your business will be reviewing and executing to reach target customers. Social Media Strategy: define which social media channels your brand will focus on and how you will use social media websites and apps to attract new customers and engage with existing ones. Online Affiliates Strategy. Which online affiliate network you will be using and what commission/payment structure you will be offering. Define technicalities and challenges in relation to tracking and monitoring. Conversion Optimisation Strategy. Define tools and optimisation methodology to ensure you are consistently reducing the gap between enquiries/visits and successful transactions. Here you might define that you want to optimise key landing pages on a specific time frame and use a/b testing methodology in favour on multi-variable testing. Distribution Strategy. Here you have to define how customers will buy from you. You will define here whether customers will buy from you via online shop or physical shop or via a set of distributors, resellers, partners, retailers and other distribution methods. Retention Strategy. This is likely to be the most important section of your whole and entire marketing plan! Yes, most marketers spend too much time and energy trying to secure new customers versus investing in getting existing customers to buy more often, more premium product, more quantities, more new products over time. In this section, you will note and tick off your top Retention strategies. This might include VIP programs, extra services to frequent buyers, money cant buy activities, monthly e-newsletter, free training, customer loyalty programs, etc. Referral Strategy. It is fundamentally important for any business to define strategies (growth hacking) to incentivise existing customers to bring extra new customers to your business. Here you will list what a “referral program” will look like and schedule activities to increase referrals from customers. Image every new customer refers on average two customers a day. You will have here a “growth hacking” machine! To do this, you have to have a formalised referral strategy. In this section you will determine when your brand will ask customers for referrals, and what reward you will be offering. Join Ventures and or Partnerships. In this section, you will write down any agreements, partnerships or join ventures you have or you are planning to help reach new customers or better monetise existing customers. You might find complementary brands – services or products – that could be quite lucrative to partner with as they might have an established customer base that you could tap into at a very affordable prices. Think about what customers buy before, during and/or after they buy from your company. The companies who sell these products and/or services could be great partners. Document such companies in this section of your marketing plan and then reach out to try to secure them. Financial Projections. On this section you will list all the expenses you will incur and provide an indication of your expected results will be in terms of new customers, sales. The idea of a financial projection is to define which promotional expenses and other marketing executions you expect will give your organisation the highest Life Time Value (LTV) and your marketing Return on Investment (ROI). This section should also sets you on the task of writing down your set of goals (e.g., your goals for your referral program) for which your company should strive. Executive Summary: The executive summary of your marketing plan should be done last and should be an overview about your plan to other readers. You will adapt this marketing plan as you bring learnings and insights from your business metrics, sales data, marketing data, employees stories and customers feedback, competitor review and observation and evaluation of your industry environment. Your marketing team should be actively involved in the production and tracking of all the elements committed in your marketing plan. Assigning responsibilities in advance will clear up any questions to make sure everyone is on the same page. Last phase during the execution of your marketing plan is to ensure you are measuring progress, tweak template accordingly and have your success metrics ready to be compared with your initial baseline. Not sure whether your Strategic Marketing Plan is ready to be presented to your team? eDigital can help you draft and review your strategic marketing plan for your company.Contact eDigital today! eDigital can also run workshops and training sessions for your team to ensure you have a sound marketing plan. Check out this great Strategic Marketing Planning webinar (1 hour watch video) by Foxtail Marketing based in Utah, NYC, Los Angeles. The webinar includes: strategic planning & upcoming trends, how to plan budget allocation, appropriate channel distribution, automation tactics.